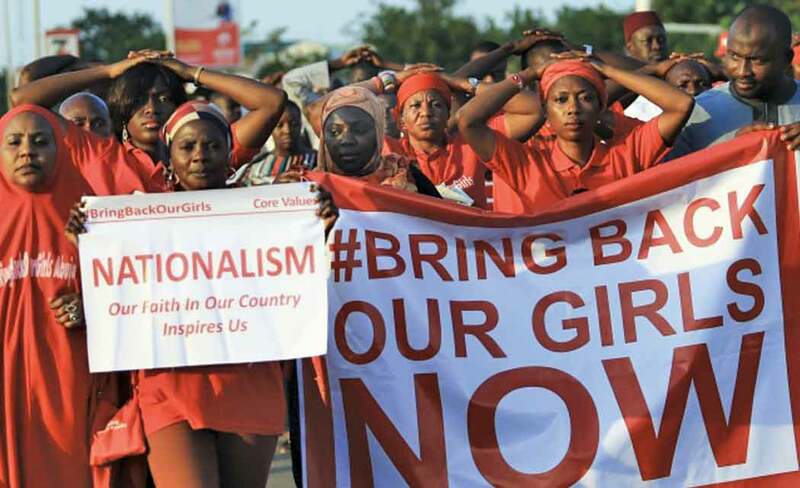 YOLA, Nigeria — When Islamic extremists snatched more than 270 girls from the Chibok boarding school in Nigeria in the dead of night, protests broke out worldwide. The U.S. pledged to help find them, and the BringBackOurGirls hashtag was born. Some 10 months later, most are still missing. The Boko Haram extremist group sees the mass kidnapping as a shining symbol of success, and has abducted hundreds of other girls, boys and women. The militants brag to their new captives about the surrender of the Chibok girls, their conversion to Islam and their marriage to fighters. The kidnappings reflect the growing ambition and brazenness of Boko Haram, which seeks to impose an Islamic state across Nigeria, Africa’s most populous country. Some 10,000 people have died in the Islamic uprising over the past year, compared to 2,000 in the previous four years, according to the U.S. Council on Foreign Relations. John was among three girls interviewed by The Associated Press who recently escaped from Boko Haram. While their stories could not be independently verified, they were strikingly similar, and all spoke of their captors’obsession with the Chibok girls. The girls had no idea whether the militants were telling the truth or making up stories to taunt their victims. John says the fighters enjoyed relating how they had whipped and slapped the Chibok girls until they submitted. When the Nigerian air force dropped a bomb on the house where John was confined, she tried to escape, she says. She wrestled with the fighters, but they broke her arm and hauled her off to another house. At the end of last year, the Nigerian army liberated the town where she was held. She is now in Yola with her father, sister and six brothers, in a house overcrowded with refugees. She finally was able to get medical attention for her fractured right arm, which remains in a cast. Yet in 10 months, Boko Haram has increased the tempo and ferocity of its insurgency. In August, it began seizing and holding towns, and – copying the Islamic State group – declared it would recreate an ancient Islamic caliphate in the region. The fighting has since spilled across Nigeria’s borders, and the African Union this month authorized a multinational force of 8,750 troops to try to stamp it out. Dorcas Aiden, 20, was another of those caught in Boko Haram’s siege. She had finished high school and was living at home when the war came to her village. Fighters took her to a house in the town of Gulak and held her captive for two weeks last September. The more than 50 teenage girls crammed into the house were beaten if they refused to study Quranic verses or conduct daily Muslim prayers, she says. When the fighters got angry, they shot their guns in the air. Aiden finally gave in and denied her Christian faith to become Muslim, at least in name, she says. One day, the fighters stormed into the room where she was kept locked up with a dozen other girls. They showed a video of the Chibok girls, dressed in hijabs, with only their faces visible through their veils. Aiden says she was so overwhelmed that she cried. The fighters said the Chibok girls were all Muslims now, and some were training as fighters to fight women, which Boko Haram men are not supposed to do. Aiden’s captors boasted about how they had married off the Chibok girls, she says. One fighter said he would marry her. She balked. Aiden says the insurgents threatened to break the legs of any girl who tried to escape, but she and six others ran anyway. As she made her way through abandoned farm fields, she noticed that Boko Haram had filled about 10 other houses with kidnapped girls and women. Another escapee, a shy 16-year-old captured in September, begs that her name not be published because she escaped only a few weeks ago and believes the fighters are actively searching for her. After the girl’s village was attacked four times, she fled to a great-aunt. Then that village also was targeted, she says. The fighters held her for four months. When she escaped, she walked through the bush and across the border into Cameroon to avoid areas under Boko Haram’s control. She is now taking refuge in a Catholic church in Yola. All the girls say they were not raped, despite the fears of some villagers. Instead, the fighters said they wanted the girls to remain virgins until they were married off. “They said they are doing the work of God, so they will not touch us,”the 16-year-old recounts. The man told her the Chibok girls were “enjoying their matrimonial homes,”she remembers. He also said the Chibok girls had turned against their parents, and were “ready to slit their parents’ throats”if they ever saw them again. Some never will. Even if the girls are released, people in Chibok say at least 13 of their parents have died since they were seized, in Boko Haram violence or possibly stress-related illness. While dozens of Chibok girls escaped on their own after their kidnapping, 219 are still missing. Nigeria’s military initially feared any action could lead to the girls being killed. But villagers reported last week that air force jets have begun bombing the Sambisa Forest – the area where fighters told Aiden some girls still are held captive.